Mahi Mahi is prized for its firm texture, moist flakes and sweet mild flavor. 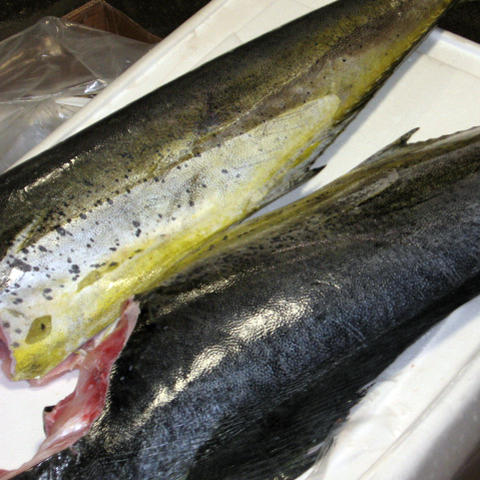 Mahimahi is the Hawaiian name for the dolphinfish (no relation to the mammal). Also called the dorado. Available year round, peaking in the spring and fall near Hawaii.